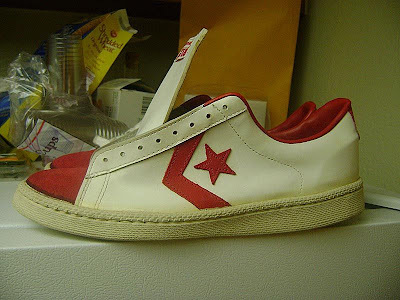 Sometimes even I am surprised by what Converse goodness I find while combing the world wide interweb. Today I am going to share one of those pleasant surprises with you. 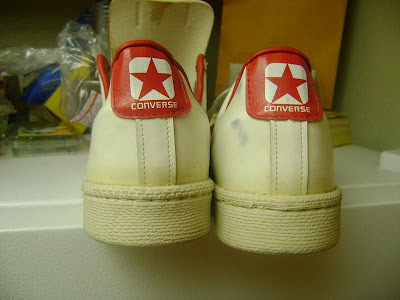 Recently I found an eBay auction for a pair of Converse Pro Leathers with a Suede Toe Cap. 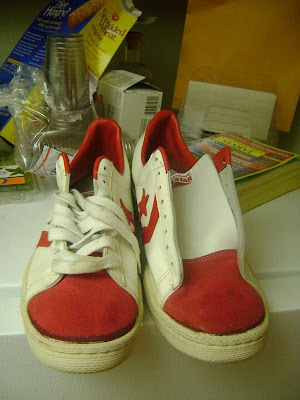 Flat out, these are sick, I can't really put it any other way. 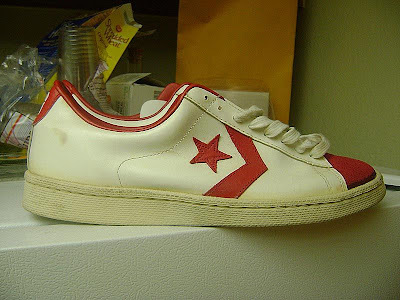 I've never seen a pair like this before, I'd say they are somewhat rare. Well I am off to Bowling Green after school today. It will be so good to get out out of town for a few days and take in a WKU football game. It's not every year that a College football team in your state moves up to the Bowl Subdivision. Well I am out of here, thanks for stopping in!